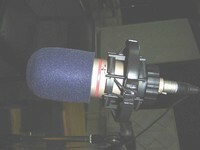 Radio Waumini's advertising rates are very competitive and are approximately a third of the cost of the market rate. This paves way for advertisers to advertise through out the year and thus reaching out to the consumers in the most effective way. P. O. Box 1373, Sarit Centre. 00606 Nairobi. RADIO Waumini transmits within a total radius of 150km of the area surrounding Nairobi thus giving us a milestone in our coverage. The frequency transmits as far as Murang’a, Thika, Kiambu, Machakos, Makueni, Kajiado and parts of Nyeri, Isinya and Oldonyo Sabuk. We shall soon be expanding to Nyahururu and the Rift Valley. These are areas that are generally not exposed to a lot of advertising yet hold large numbers of people who have the potential to be users of many products in the market.